Do you love your nails? Do you love your nails? Do you shed a tear when they crack or chip and hope they grow sooner? You are not alone. ..I feel the same. With our fast paced lives there is absolutely no time for a manicure/pedicure to take care of our nails. I struggle to find time to paint my nails also at times and land up doing them in the car while going for a function! If you are also sailing in the same boat as mine, well, this one is for you! You will no longer have cracking or chipping nails! 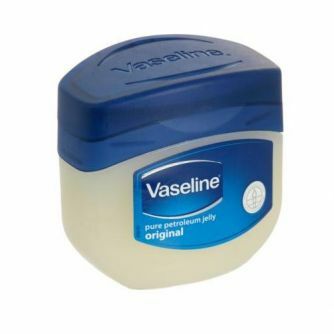 Vaseline will help your nails grow stronger (which you will feel) and prevent them from breaking easily. This is a tip to take good care of your nails at practically no cost! However, if your nails do chip, below are a few links that you can try to save them. You do get some Nail Repair kits (link provided below) in the market but i haven’t personally tried them. What i can tell you is, your broken nail can be saved with a tea bag!! Don’t believe me…..check out the video links below.